Waterfall Info: This is the upper of two popular waterfalls on Helton Creek. 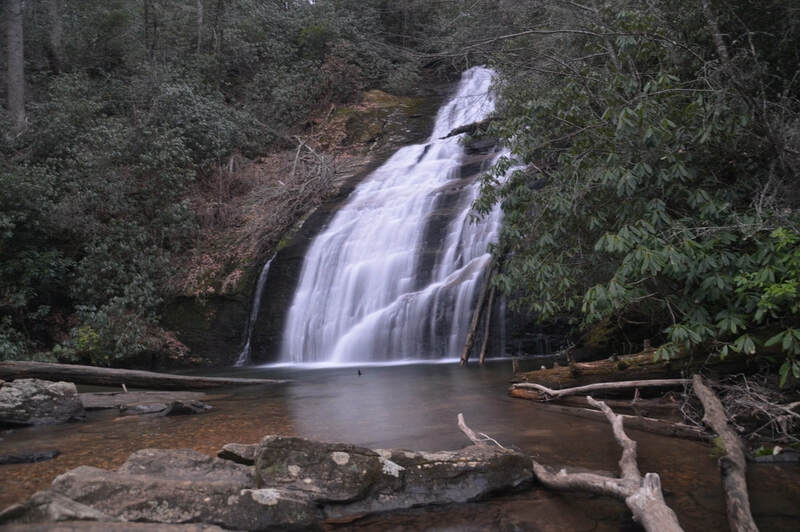 Access Info: Follow the well-used Helton Creek Falls Trail from Helton Creek Road. The trail ends at Helton Creek Falls in 0.15 miles. A short spur trail leads to Lower Helton Creek Falls along the way.